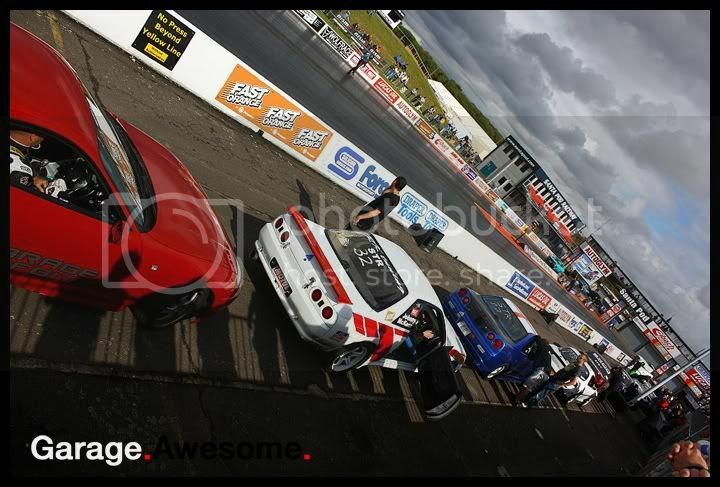 EVENT: Japshow Finale 2011 – Santa Pod « Garage.Awesome. It’s certainly safe to say ‘where has this year gone?’ it seems only weeks ago when we were reporting on the summer Japshow held at Santa pod, and yet here we are finding ourselves at the back end of the season to bring you coverage of the Japshow Finalé! The show has moved from its usual rain inhibited October slot to hopefully catch the last few dregs of our British summer! Unfortunately, our British summer leaves little to be desired and the Japshow finale couldn’t escape the rain fully. Saturday saw a RWYB day, usually giving people the chance to test/warm up or lay down some times in preparation for the main event on Sunday. The rain did stop play for the vast majority of the day, leaving all the focus on show day… and most importantly the weather for our arrival! It seems we got pretty lucky, a dire forecast had me on the brink of not bothering, but a rain-free drive down certainly cheered us up and made the early start worthwhile! Upon entry to the show we found the usual layout we have come to expect from Pod shows with the fire up lane ready for action with cars eager to get runs in early and all the water points busy with modders trying to get their vehicles up to show standard. The show and shine paddock filled up nicely with a great mix of cars in attendance, sporting a wide range of modifications which would certainly leave the judges with some thinking to do come trophy time! 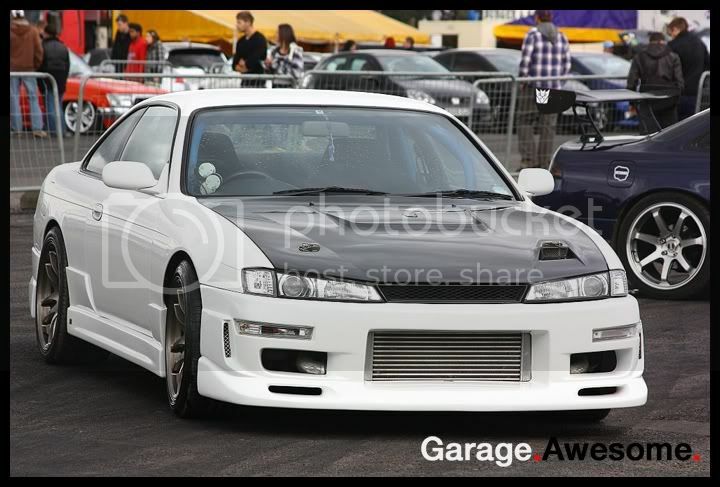 For me, I was a little surprised at some of the awards but then again I’m in no position to complain as, to my delight, my 200SX was named as one of the top 5 cars on display, which definitely made dodging the odd rain shower more than worth it! Joining me in the top 5 was Steve Walton, who also added to his trophy collection after he scooped one for his lexus IS200 when we hit the Thoresby Jap & Ford show earlier in the year. Sean Flanagan’s Honda Civic was parked directly behind me and immediately I had marked it out for a trophy; nice subtle and well thought mods oozed quality and made his a worthy winner. Now, Paul Evans’ Scion BB did not scream Japshow winner to me, but the airbrushing on this unusual kei car was something else, it was clear to see some serious talent and time had been used to get such a finish on the car. The final top 5 car scooped the coveted ‘Best of Show’ prize, and for me it was only one of 2 cars that was going to take it, my money was riding on a stunning grey with gold top secret engine bay detailed Nissan Skyline R33 GTR (how this didn’t get a prize I have no idea) but equally as impressive was eventual winner; Lewis Whitehead’s MX5 who managed to loose the ‘hairdresser’ image with some tasty wheels and immaculate engine bay, very nice car indeed! The final show award was the ‘Judge’s Choice’ award which went to Steve Cheung and his 1989 Toyota Celica GT. It’s not very often you even see one of these cars, but to see one in better condition than when it left Toyota in ’89 is a special thing and as a huge retro Toyota fan, completely deserved to go home with a prize. Away from the smell of polish and elbow grease we found it quickly replaced with oil and tyres as the strip was kept constantly busy and, bar the odd rain shower and car breakage, which in itself is a testament of how well the track is prepped by the Santa Pod Team, the cars kept coming all day! Of course, there were trophies for the Run What Ya Brung guys too, swapping the familliar FWD, RWD, 4WD and ‘power added’ variety classes with manufacturer classes meaning if you had the quickest of the marque… you would win! Most classes saw it tight at the top, with the exception of the Mazdas, who I think was the only RWYB trophy to have ever gone to a car running in the 15s! One car a lot faster and almost straight out the box was Nissan winner; Lyle Miller with his GTR. Lee Bunn made sure the Supra wasn’t forgotten as his almost titanium coloured example took the Toyota trophy and Afy Jalal’s Civic EP3 was running very close to the times set by the pro cars in the Jap drag series and consequently took home the fastest Honda award. An Evo 9 was the quickest Mitsubishi and a P1 took the fastest Subaru with James Draper and Gordon Farley behind the wheel respectively. The RX7 that took the Mazda trophy was driven by Raman Surrey, com’on Wankel boys… where are you all! Amongst the RWYB and Santa pod residential favourite; FireForce we saw some fantastic displays from a maltese Drag Truck and some looney 8-9 second motorbikes as well as the opportunity for people to have a ride in the 2 seater dragster! 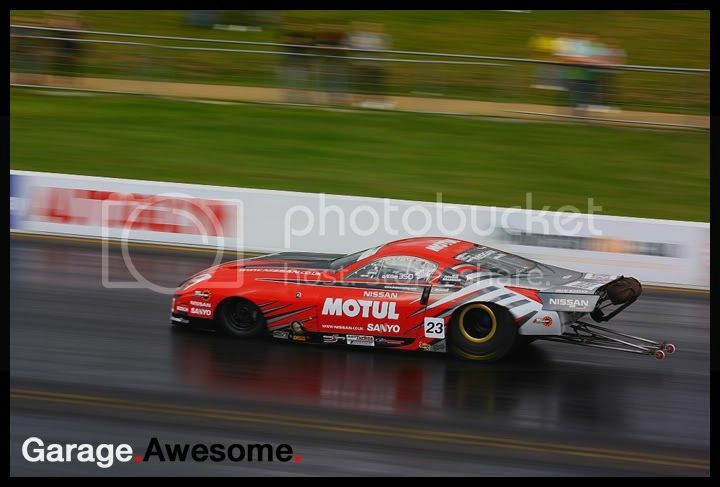 For me, the highlight of the days track action was the mighty impressive Jap Drag Series, where some of the most powerful 4, Front and Rear wheel drive jap cars do battle in a elimination style competition. Some crazy power skylines and supras mixed it with the civics and rx-7s. The eventual winner was John Bradshaw with his ‘Project zed’ loosely based on a Nissan 350z this spacedramed beast is capable of passes down into the 7s! With a similar format to ESC that we brought you earlier in the year, it’s a great way to watch top level drag racing in what appear to be mostly road going, power hungry monsters from the land of the rising sun! Finally some of the car clubs were out in force, most notably Beds and Bucks Scoobys, the z club, skyline owners and jap outlaw clubs. Although the show was probably not the busiest seen all year, we still managed to find cars we hadn’t seen or that have evaded our lenses so far! I think with a bit of careful organisation it could be the show for jap owners to finish off the year, it’s just getting these shows away from others that seems to be the tricky part, otherwise, it was pod doing what pod does best, and that’s put on a cracking show! More info and 2012 dates hit up www.Japshow.co.uk for info on both summer and autumn events.